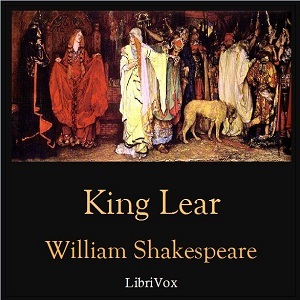 Listen to "King Lear" on your iOS and Android device. King Lear is widely held as the greatest of Shakespeare's tragedies; to some, it is the greatest play ever written. King Lear abdicates the British throne, to divide his kingdom among his three daughters in proportion to their professed love of him. His plan misfires when Cordelia, his youngest and favourite daughter, refuses to flatter her father; she is disinherited and banished. This LibriVox recording marks the 400th anniversary of the first performance of the play, on December 26th 1606.